I admit, I used to not like eating chicken as a child. Say what?! How can I not like eating chicken? I know. It’s hard to imagine now that it’s become one of my favourite foods as an adult. The truth is, when I lived in China, the street downstairs from my apartment was a fresh food market. Every day to and from school, I’d have to walk through the stench of live and freshly killed chickens that it was really a bit too much to bear for a little child. To this day, my cousin who lived with me at the time, still does not eat chicken. “No. I don’t eat anything with two feet” was his reply. As you can see just how traumatic that experience was to him. As I moved away from China at just the age of 8, the trauma that it once caused was swept to the back of my mind and gradually, it disappeared altogether. It has now, thankfully, been replaced by the delicious aromas of freshly cooked chicken. I’ve had many types of chicken dishes in my lifetime but one of my favourites is still the good ol’ poached style with some flavour enhancing sauces to match it. 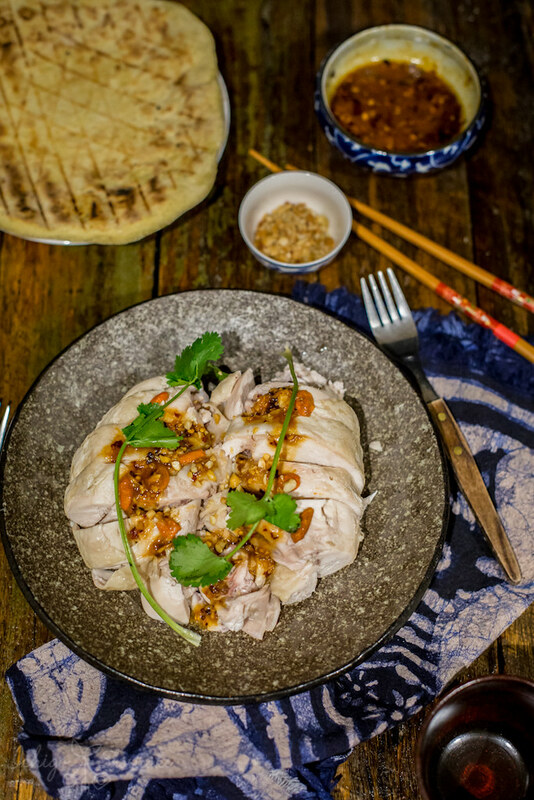 The one great thing about such a dish is really how simple and fast it is and you will get delicious chicken every time. The following is a recipe that Yuye’s dad likes, with one whole chicken eaten with two completely different sauces. Hopefully you will enjoy it as much as I did. – a small handful of salted beer nuts, chopped into small chunks (or squashed with the side of a knife). You can also pan fry your own peanuts but this is just a shortcut. 1. Cut spring onions, 1 bulb of ginger and 1 clove of garlic into small pieces. 2. Ground up into a paste in a mortar and pestle. 3. 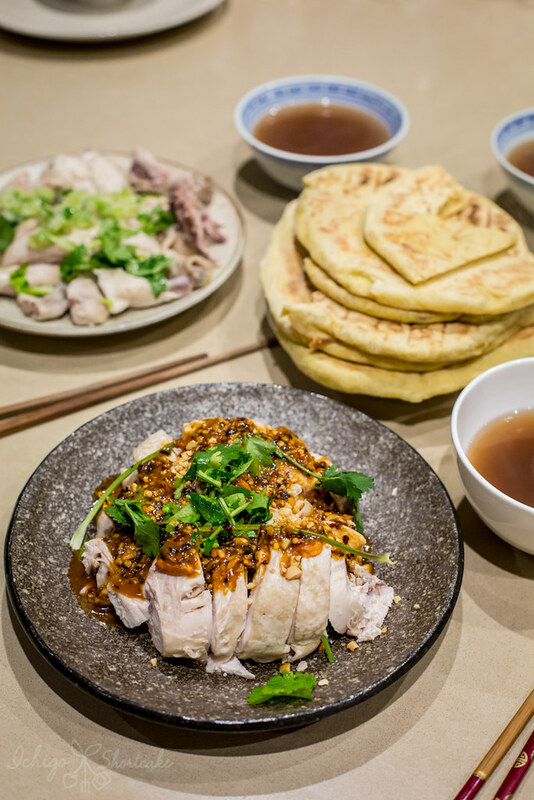 Season with salt until quite salty – you are basically using this as the only salt content for the half chicken so season well (if you don’t want to use that much salt, you can also use light soy sauce to flavour it but it will have a different taste and look. 4. Heat about 4 tbsps of vegetable or olive oil in a pan on high heat. Heat until almost smoking and take off heat. 5. Immediately pour the hot oil over the spring onion paste and watch it sizzle. It will become fragrant but not overcooked. 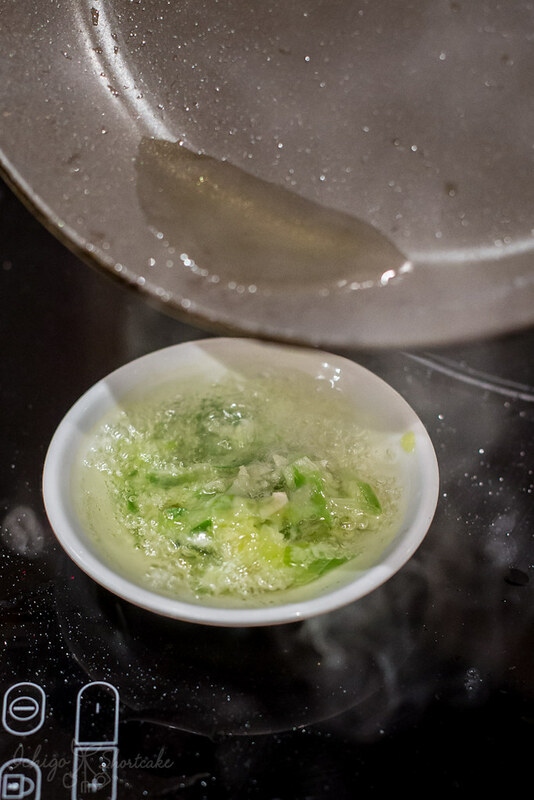 This is a simple and traditional way of making a sauce such as this in China. Alternatively, you can also cook the paste in hot oil until fragrant but not browned and take off the heat. 1. Finely chop 1 bulb of ginger and 1 clove of garlic. 2. 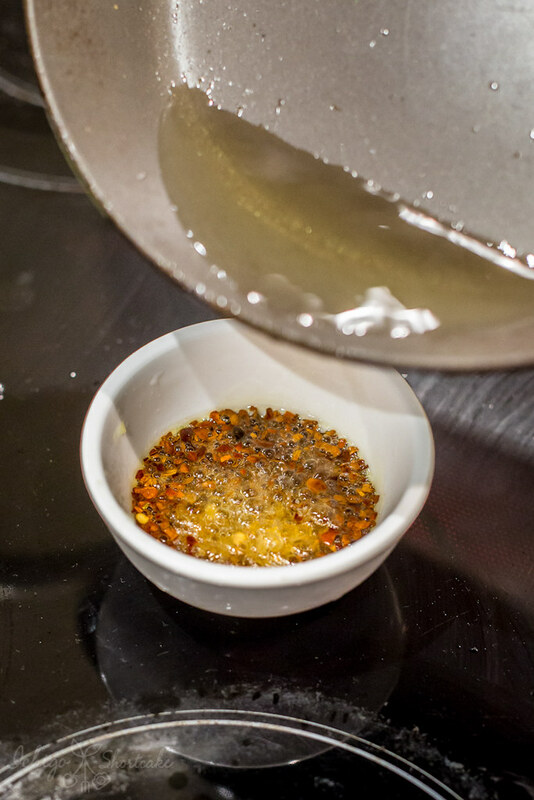 Mix together the chilli flakes, Sichuan peppercorn powder, chopped ginger and garlic in a small bowl. 3. Repeat steps 4 and 5 above (for the spring onion sauce). If you are going to make both sauces like I did, it’s better to mix the ingredients for both and then heat the oil required at once then pour half onto one and half onto the other to save time. 4. 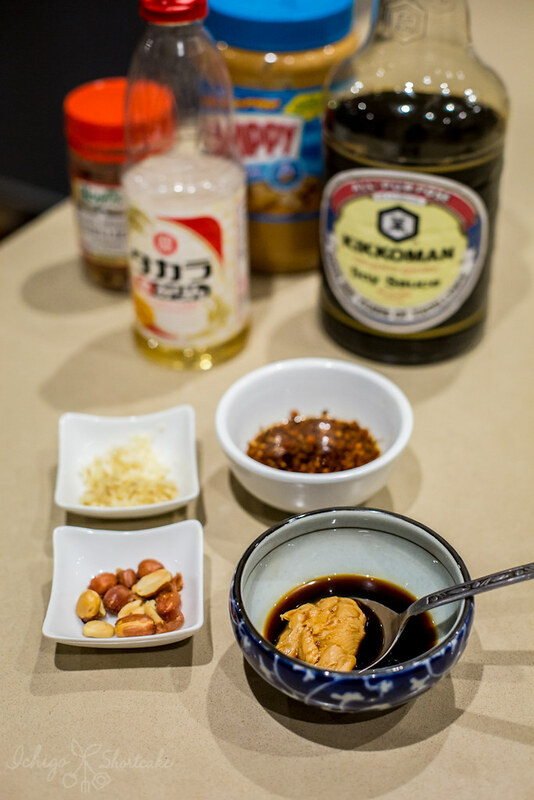 Add the soy sauce, peanut butter, vinegar, mirin, sesame oil, chilli oil, coriander and chopped peanuts to the sauce. If the sauce isn’t salty enough, season with salt or add more soy sauce. 2. Fill with water until it just covers the chicken and put on high heat. 3. As soon as the water starts to boil, turn the heat to low. Put a lid on the pan and let it cook through on low heat for about 18-20 minutes (if unsure whether the chicken is cooked, you can leave it on for a further 5 minutes or so, the chicken shouldn’t be overcooked on the low heat). 4. 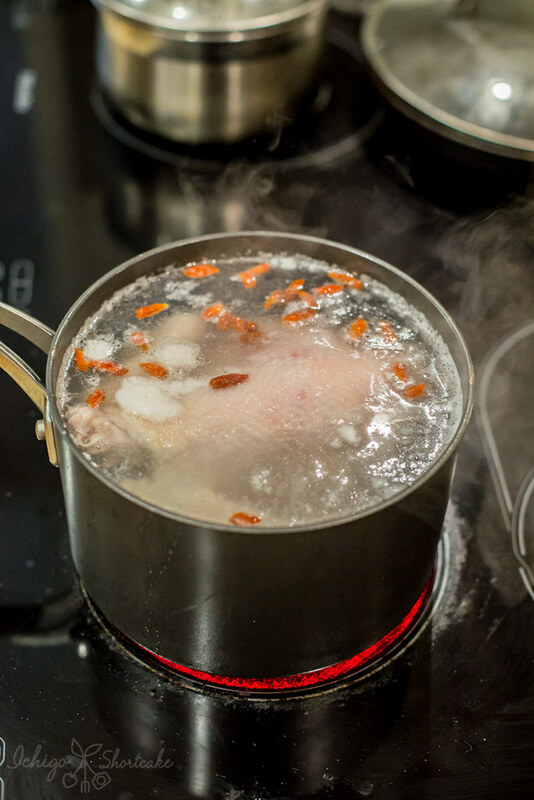 Remove chicken from the water along with the goji berries. 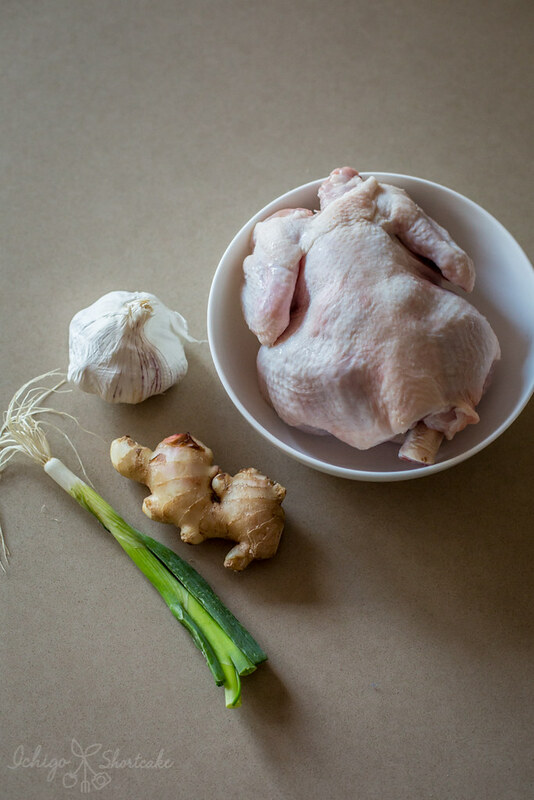 If you care about the presentation of the chicken skin, then rinse it under cold water for a few minutes to stop the cooking process and leave outside to sit until room temperature. If you don’t care about the look or just don’t eat chicken skin or if you prefer to eat the chicken hot, then you can omit this process. 5. 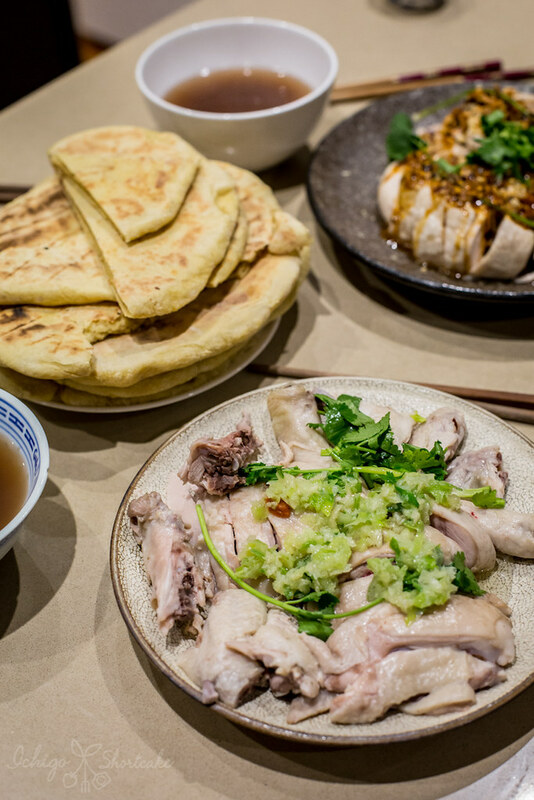 Chop the chicken up into smaller pieces and put half of each onto a plate. Garnish with the goji berries along with some more chopped coriander or chopped spring onions. Serve with the two prepared sauces and rice or flat bread. Note: This recipe might sound like a lot of steps but most of it is mixing and chopping ingredients so really isn’t very hard. You can adapt the sauce to an extent based on what ingredients you have in your pantry. 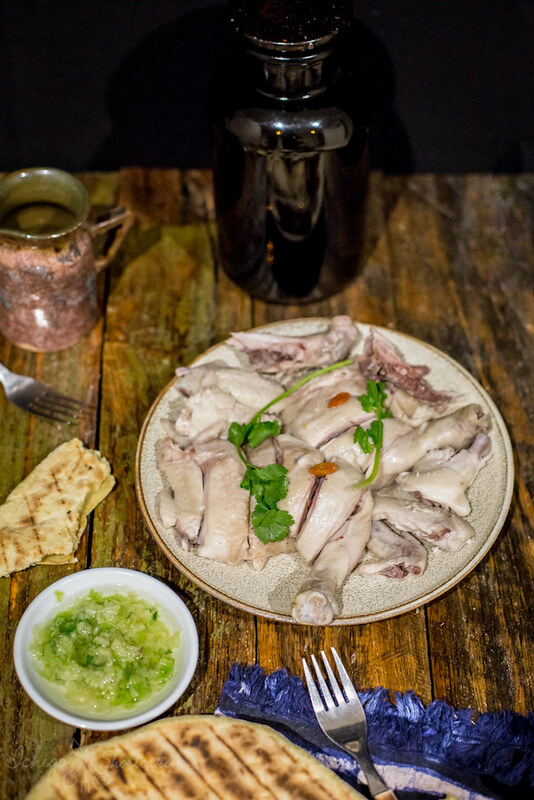 This dish is served cold, but if you wish to serve it hot, just don’t put the chicken under the cold water and serve immediately after poaching. If you wish to make one whole chicken with only one sauce, just double any of the sauces and use for the whole chicken. So tell me my readers, do you have an ingredient or dish you disliked as a child but then loved it as an adult? Scrumptious looking and sounding! 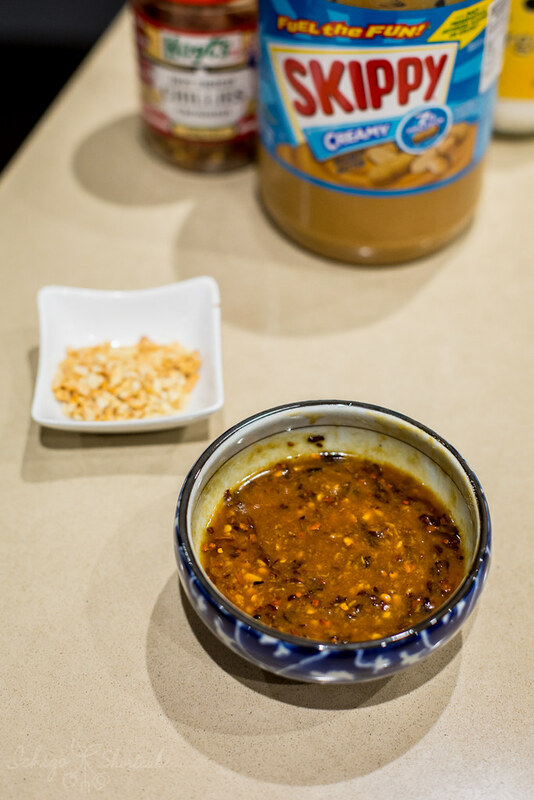 That peanut butter sauce must taste wonderful. Does that mean your cousin eats beef and pork? Chicken & birds are the only thing on two feet I think. I feel the same way about pork. We went on a slaughter house tour while in china. My beau loves bacon and pork though I can’t stand it, so we have a deal. I don’t eat durian when he’s home, and he doesn’t eat bacon when I’m home. 😛 As to a food I used to hate but now love, I love sweet potatos now. Yes, that is correct. He eats everything that have 4 feet. I don’t quite understand, I think he’s just basically scared of chicken, duck, geese…so all birds? I love sweet potato. Glad that you like it now!